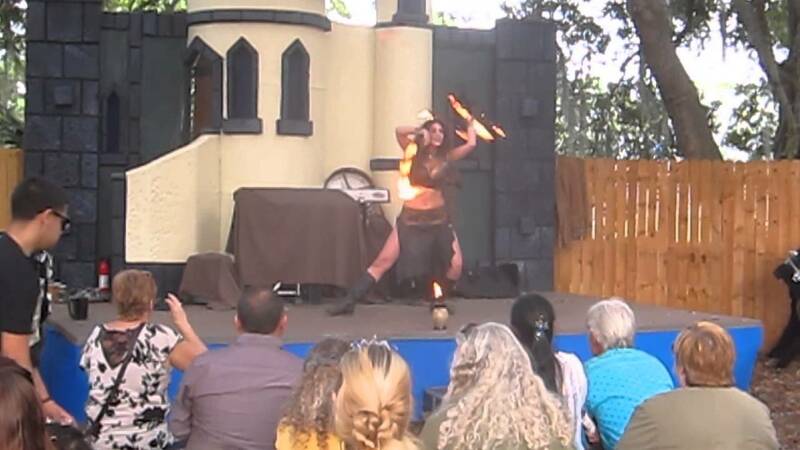 In addition to hot stunts and fire acts, Adamo Ignis is interactive entertainment! 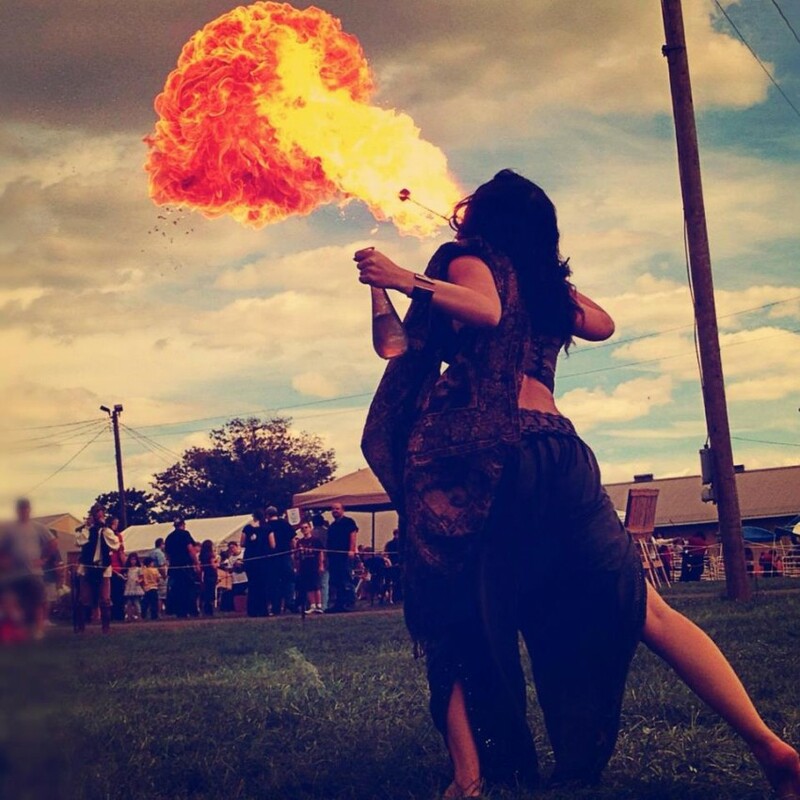 You are an important part of our show and may even find yourself or your guests up on stage with us! The name, Adamo Ignis, means 'to fall in love with flame' in latin. And with a show like this, how couldn't you? If you could only see one show for the rest of your existence, well, let's face it, you've made poor life choices. But if you are not confined to a maximum security facility and have the opportunity to see Adamo Ignis, you will question how you have survived this long with what you now admit was a pit of emptiness in your soul that had just been filled. 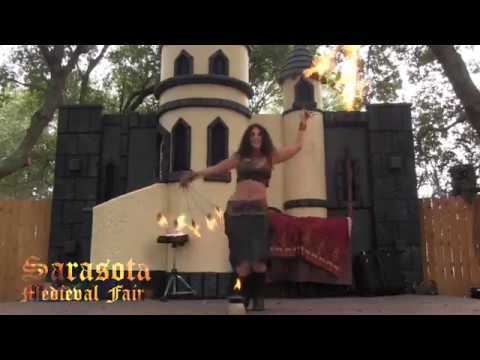 Sure there's fire breathing and eating, the climbing of a sword ladder in bare feet, not "bear" feet, that would just be cruel, fire fans, broken glass walking, fire hoop, poi, fire poi, and a bed of nails, yes, an actual bed of nails, but those are just stunts and act. 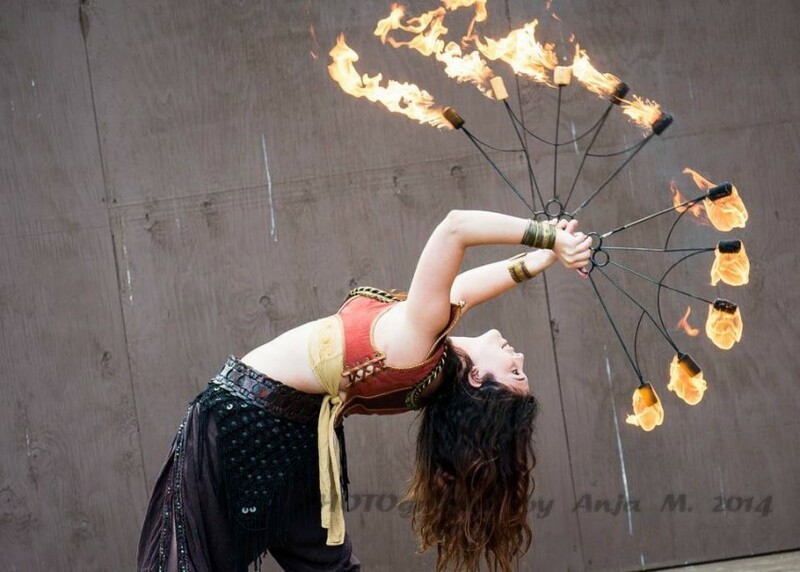 What sets Adamo Ignis apart is the wit and charm and interactive nature of the show. The interaction is not mere call and response. Rather you get to see your children, your sons and daughters, come to the stage and participate in the act. The look on their face is as priceless as the joy you see from the performers. They love what they do. They love sharing it with families. And they are just so damn good at what they do, it can't help but fill your day with wonder and glee. Plus, that pit of emptiness is overflowing with happiness. Damn, how did you get so lucky? 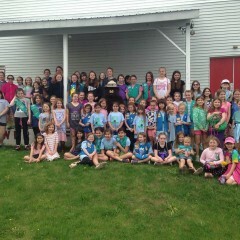 Thank you for much for the "Love of Fire" presentation for our Girl Scouts! They loved it and Christine was so full of personality and very entertaining! 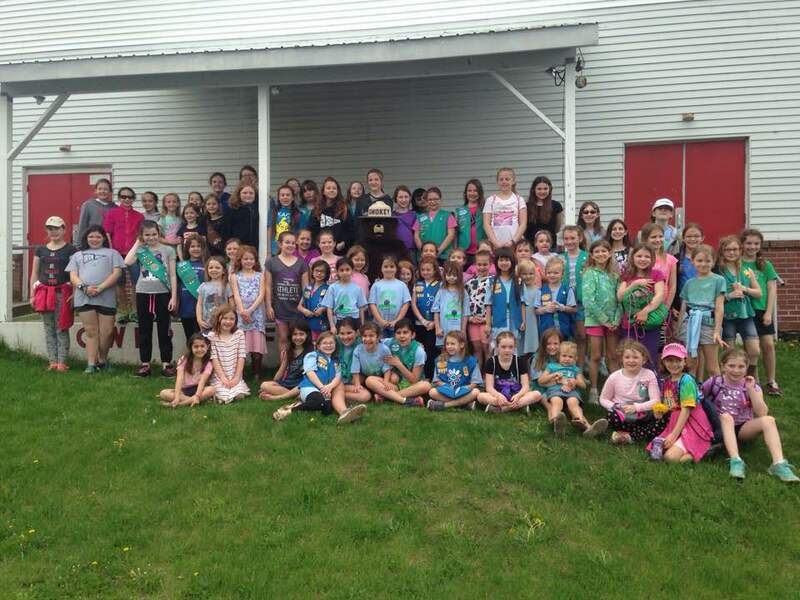 The scouts in the photo say LOVED it and say THANKS! I was so impressed with her performance she was the life of the party.. Super talented can't wait to refer her and book again. Insurance: For outdoor performances only. Adamo Ignis has but one mission; To create solo and group acts that amaze and entice. 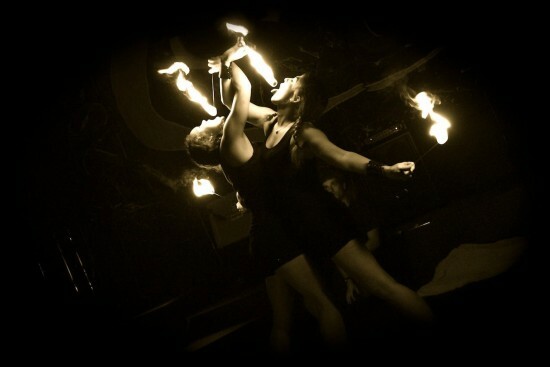 The name is latin for 'to fall in love with flame', exactly what you'll do when you see this troupe perform! For more information and to schedule your perfect Adamo Ignis experience, contact us today!